Many immune ligands and receptors are potential drug targets, which delicately manipulate a wide range of immune responses. 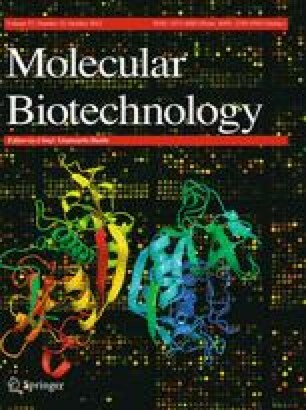 We describe here the successful application of an efficient method to dramatically improve the heterologous expression levels in Drosophila Schneider 2 cells, which enables the high-throughput production of several important immune ligands/receptors for raising antibodies, and for the structural and functional analyses. As an example, we purified the protein and characterized the structure of the immune receptor herpesvirus entry mediator (HVEM, TNFRSF14). HVEM is a member of tumor necrosis factor receptor superfamily, which is recognized by herpes simplex virus glycoprotein D (gD) and facilitates viral entry. HVEM participates in a range of interactions with other cell surface molecules, including LIGHT, BTLA, and CD160 to modulate a wide range of immune processes in CD4+ and CD8+ T cells, as well as NK cells. Due to the involvement of HVEM in these diverse signaling interactions, crystal structures of HVEM in complex with gD or BTLA have been previously reported. Here, we report the structure of HVEM in the absence of any ligands. The online version of this article (doi: 10.1007/s12033-015-9881-2) contains supplementary material, which is available to authorized users. We thank the staff of X29A beam lines at the National Synchrotron Light Source for help. Use of the National Synchrotron Light Source, Brookhaven National Laboratory, was supported by the U.S. Department of Energy, Office of Science, Office of Basic Energy Sciences, under Contract No. DE-AC02-98CH10886. Data for this study were measured at beamline X29A of the National Synchrotron Light Source. Financial support comes principally from the Offices of Biological and Environmental Research and of Basic Energy Sciences of the US Department of Energy, and from the National Center for Research Resources (P41RR012408) and the National Institute of General Medical Sciences (P41GM103473) of the National Institutes of Health. We thank Rafael Toro, Rahul C. Bhosle for help with setting up the crystal screens. We also want to thank Drs. Gary H. Cohen and Roselyn J. Eisenberg from University of Pennsylvania for their help in the trouble shooting. This work was supported by the National Institutes of Health Grants GM094662 and GM094665 (S.C.A. ); we also acknowledge support from the Albert Einstein Cancer Center (P30CA013330).